Good morning! It’s update time again – and in the great tradition of this series, I interview myself during the dead time of year for people reading this blog (I still get good statistics for these from people searching for me through the year!). I first interviewed myself on Christmas Eve 2011, and the first follow-up was in December 2012. Then, when I asked myself where I wanted to be now, I replied: “I’ve got some personal plans bubbling away, and I’d like to be training for a marathon in the next year or two. Business-wise, I would like it to be pretty well as it is now – a good roster of interesting regular clients keeping me busy and keeping my income steady”. Hm – I note that I didn’t mention the book I was in the middle of writing there! Anyway, let’s see what I did get done, as I take stock of the past year. It hasn’t been the best year personally, and I’m not training for a marathon, although I’ve maintained my regular gym habit and really enjoy that as a way of letting off steam, uncrunching my back and having some human contact! I have made the adjustments I wanted to make in terms of having more time for myself and my hobbies; I have read more books, taken more holidays (well, two short UK breaks) and had more time with my friends, family and Matthew than I did in 2012. I have many of the same clients as I had this time last year, which is lovely, with some new ones, and although my income has dropped a bit, I’m still fine and comfortable.At the time of the last interview, I was planning to finish and publish a book on my experiences in my first year of full-time self-employment, and I did do that, eventually, with the book, Going it Alone at 40, coming out in April. My customer base has changed slightly. I lost one big contract through no fault of my own, when the year of a particular transcription agency handling a big regular conference came to an end. And I terminated my agreements with a couple of other clients when I made the decision in the spring to do less evening and weekend work and claim my life back again. I’ve been doing less student work, and it’s funny to think that originally I thought that that was all that I would be doing, full stop. I decided to pass on the Master’s coaching I’d been doing, as it was a lot of short-notice and urgent work and I felt unable to commit to supporting more people through that process this year. A really good change is the fact that I’ve built up a list of great people onto whom I can recommend prospective clients who I can’t fit in, some of whom have been covering time off for me. It’s absolutely brilliant to know that I can take time off when I need to, and someone will look after my clients to a high standard and hand them back to me afterwards – it’s such a hard thing to work out when you’re working on your own, and I’m very lucky to have those people! I’m pleased that I have so many of the same clients that I had this time last year. I am grateful for their continued custom and love working with them; I’ve built a close relationship with some of them and it’s lovely to have those chatty moments among the emails. I’ve continued to try to ‘give back’ as much as possible, helping at Social Media Surgeries, giving informal mentoring support to new colleagues and keeping putting information out there on the blog for free about careers, editing, language, etc. Another thing that’s changed is that I got engaged to Matthew in July, and we’ll be getting married next spring! I’ve learned that it is possible to take holidays or be ill and know that someone has your back. I’ve also learned that people search for odd things but if you look at what they search for, or listen to what people ask about, you can tailor your blog to suit them and help more people. I’ve learned that I can write and publish a reasonably successful book (or three) and that being edited is harder than you think it is if you only see the editor’s side of it (I blogged about that here at the time, and drew some more general conclusions later in the year – very useful for my professional development!). Keep looking at your return on investment and checking that you’re the right fit for your clients, and they’re the right fit for you. I keep an eye on the profitability of my clients and the way that I fit their needs, and don’t hesitate to adjust matters if it’s not working. Keep working on your professional development – I’ve learnt about new translation software (used for localisation in my case) and experienced what it’s like to be one of my clients, being edited by someone. Don’t get buried in the work – come up for air and make sure you keep a life. It’s worth outsourcing – I hired an accountant this year and they sorted out my last year’s bank reconciliation, send me useful newsletters when there’s a budget by the government, and are keeping me on my toes with my admin this year. I’ve just published a short guide to transcription as a career, but I want to get my next main book, tentatively called Who are you Calling Mature? Running a Successful Business after the Start-up Phase, completed, edited and out in January or February. That should bump up my ‘passive income’ from book sales, and I might even manage a print edition of Going it Alone at 40. We’ll be married by this time next year, and I’ll not have worked on our honeymoon! I’m also hoping to have a more crafty and creative 2014. I’ve been inspired to get out the sewing machine again, and to think about taking a few courses. I made some of my Christmas cards this year, and most of my wrapping paper, and would like to continue playing around with stamps and ink in 2014! I had planned a post on exactly how I would go about searching for freelance (or otherwise) jobs on Twitter, then ended up discussing the topic with another editor, who’s keep on working on cookery books. So, here comes a worked example of how to search for jobs on Twitter. Why search for jobs on Twitter? People talk a LOT on Twitter, and they also use it for information seeking purposes. How many times have you seen a friend or just someone you follow ask a question, or look for a recommendation? Especially if you’re a freelancer, people will throw a question out: “Does anyone know a good transcriber?” and other people will answer them. It’s brilliant if one of your own clients does this and gives your name (this happens quite regularly to me, so I promise that happens), but if not, as long as you’re not over pushy about it, there is no harm in tweeting to that person to tell them about your services. Does searching for jobs on Twitter really work? 1. I ran my regular search (see below for how to do this) on “looking for proofreader”. I found a Tweet by a woman working in PR. I contacted her, she became a client, she took me with her when she joined a big agency, and when she left that agency, I ended up with them and her as clients. 2. A journalist I followed on Twitter posted the tweet “Can anyone help me with some transcription?” At the time, I didn’t offer transcription as a service, but I was a trained audio-typist. I got in touch, again, it went to email for the negotiations, and I ended up with that journalist as a long-term client. Plus, she recommended me (via Twitter and email) to other people, who also recommended me, and I ended up with a regular client base of music journalists. So yes, it does work. Here’s how to do it. 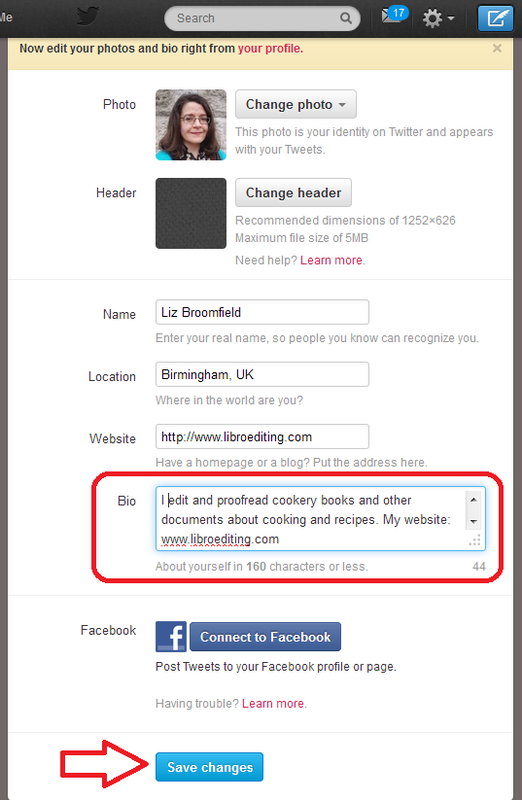 Now you have the option to change all of your details and your Bio(graphy). Make sure that you get all of your keywords in, press Save Changes at the bottom, and you’re reading to go and encourage people to look at it! How do I search in Twitter? At the top of the screen, you will find a grey box with a magnifying glass icon in the right-hand end. You can type any words you want to search for in here and hit Return to run your search. You do need to think about your search terms and what you think people who might be searching for a cookery book proofreader might need. Here, I’ve gone for “writing cookery book”, on the grounds that if someone is writing one, they are going to need editing help at some stage. So I input that, hit Return, and when the results come up, I choose All rather than Top or People you follow – to make the results list as wide as possible. How do I interpret the Twitter search results? 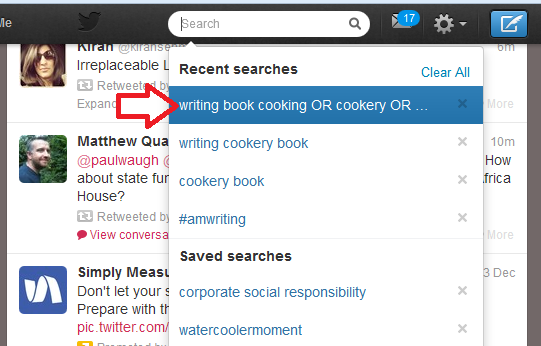 Twitter searching doesn’t use wild cards, which means you can’t input cook* book and get it to search for cookery book, cook book, cooking book, etc. Once upon a time, you’d have to run searches for all the different words you wanted. But now you can run Advanced Search and search for lots of different things at the same time. Click on the cog to the top right of your search results and drop it down. You’ll have an option to Save search (we’ll look at that later) and Advanced search will appear in the sidebar. Pick Advanced search and you’ll be taken to the Advanced Search input screen. Here you can handily choose words that must be included in the results, and words that could be included. 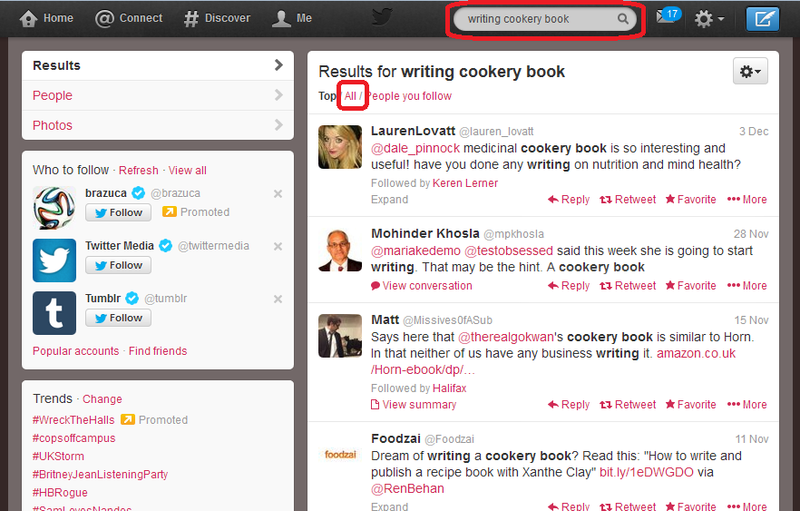 So, here, I’m saying that all tweets that Twitter finds must include the words “writing book”, but they can also include any of “cooking”, “cookery”, “cook” and “recipe”. This means that it will look for “writing book” plus any one or more of the other words. What effect does this have on the results? 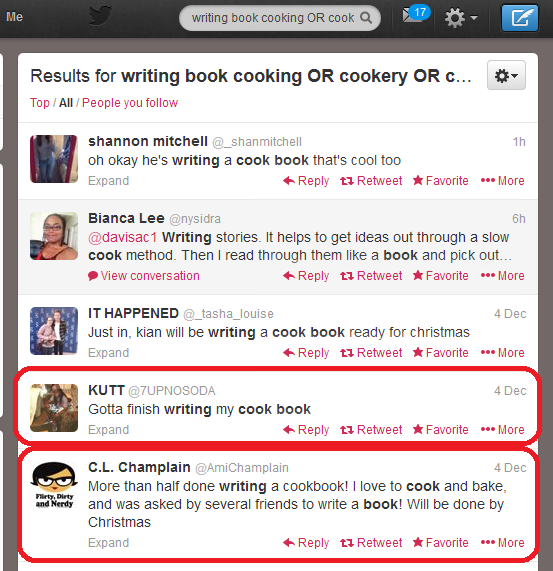 Well, we can see a few that aren’t really any use, but two from people writing cook books (circled). Result, and we’ll have more results doing this than for each of lots of different individual searches, all in one place. How do I save a Twitter search? 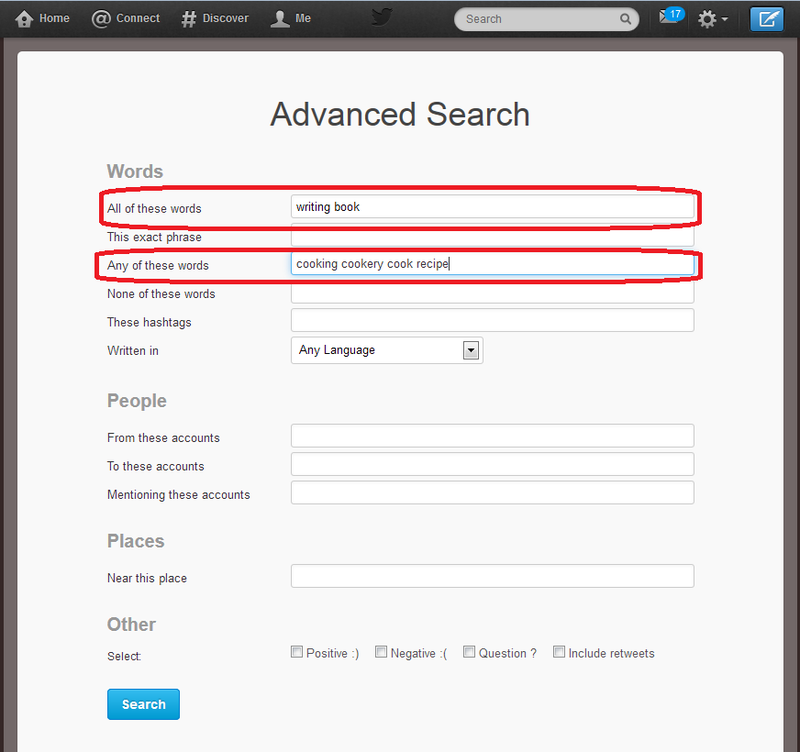 When you next click in the search field, you will get a list of Recent searches and Saved searches. Our search is in Recent searches at the moment, but will stay in Saved searches, now you’ve saved it. This means that you can just click on that search query rather than typing it all in again. How often should I re-run my Twitter job searches? I recommend running each of your searches every 24 hours. This gives you only a few extra results each time, it’s easy to note where the ones that you’ve already seen start, and if you want to reply to a tweet, it’s not too long since the person tweeted it. It might be worth running them more frequently at first, but keep an eye on how many new results come up during 24 hours and you’ll get an idea of the schedule to use. I wouldn’t leave it longer than 24 hours, for fear of missing out, as Twitter is a very immediate medium. How do I pitch for a job on Twitter? You might feel a bit uneasy about this. But I can promise you that no one minds one short, friendly and non-pushy contact in reply to a tweet they’ve sent out. I’ve sent loads, I’ve had a certain amount of success; some people have ignored me, but no one has ever complained. 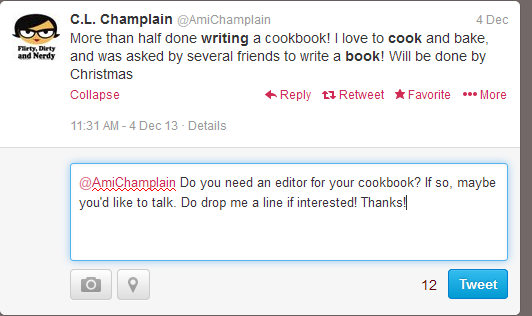 So, a very non-pushy, friendly and polite tweet inviting them to respond. If they did respond positively, I’d very quickly move to giving them my website URL (even though it’s on my profile, I’d put it in a tweet) and initiate email contact so we could discuss the project in more detail. So there we go: that’s how I searched for jobs on Twitter – and won them. My use of this network was a while ago now, but you know what? I still have both of those original clients who I talked about above! If you enjoyed this post or found it useful, please do use the sharing buttons below and leave me a comment! Good morning! It’s update time again – in fact it’s going to be update time every week for a month or so, as I’m not currently taking any new interviewees, to make sure that I give my regular yearly updates as much space as they need. Anyway, today we’re visiting the world of PR and marketing with Nicole Y. Adams of NYA Communications, who concentrates her editing and translation business in these areas. Yes, I am! I’m still working in marketing and PR translation, editing and translation business coaching. I did write that book I wanted to write, but it turned out differently than planned. Rather than a how-to guide for freelance translators, I’ve recently published a book, Diversification in the Language Industry – Success beyond translation, which is available on Amazon. It features articles by a ‘who’s who’ of language industry experts and their take on and experience with language-related diversification. What has stayed the same is that I still translate exclusively in my specialist areas (marketing, PR, corporate communications); if anything, I’ve become even more selective when choosing the types of project I take on. What has changed is that my kids now attend school/kindergarten full time, and my husband has returned to work after four years as a stay-at-home dad, so I’ve suddenly found myself in an empty house, which made for quite a change. But I now have more undisturbed time to focus on my business than I had a year ago, which is great. I’ve learned how hard it is to publish a book! If someone had told me that a year ago just how hard, I may never have started! 😉 (Ok, just kidding.) It was definitely an interesting and challenging process though, and I wish I’d known just how time- and cost-intensive it would be. Nevertheless, it was still extremely enjoyable, and I may just get started on volume 2! If you are a self-employed freelancer, I’d definitely recommend specialising and diversifying. Sounds like a contradiction? In my opinion, it’s not. Becoming a specialist in one or two areas will allow you to establish yourself as an expert and secure clients willing to pay top rates for your expertise. At the same time, it pays to keep your ears to the ground and seize opportunities that may present themselves along the way. It’s always a good idea to have a risk management strategy in place and avoid putting all your eggs in one basket. Wow – that’s a big change in home circumstances: hope Nicole isn’t feeling too lonely! I totally agree with what she says about diversify and specialise – in fact, I talked about those very subjects in this post about making more money in your freelance business! Great minds think alike, and all that! I’m working on my fourth book now, and the process does become easier, but it certainly does take more time than you expect. I would imagine that Nicole’s is a great resource for translators; do go and have a look at it! Over the years that I’ve been providing transcription services to journalists and researchers, I’ve found that my clients haven’t always been as au fait as you would expect with recording, downloading and sending audio files of their interviews. Here are some handy hints that I’ve developed to help my clients – any journalists or researchers who have to record and transcribe interviews should find this information useful. Set and test the recording levels. You will probably be able to alter the volume, at very least, and maybe the graphic equaliser. If you’re going to be doing a lot of interviews, it’s worth doing a test session with a friend, and checking the quality of the recording. Then leave the levels set at that point. If the levels are too loud, when it’s played back, it will be distorted, even if the level is turned down on the machine that’s playing it back. You may have some pre-set recording levels in the menus on your recording device. Oddly enough, you need to choose one that reads something like “interview” or “one to one”, rather than “meeting” or “concert” or “outdoors”. This will ensure that the device picks up you and the interviewee, rather than the conversation at the next table or the inexorable whoosh of the cappuccino machine. If an inappropriate pre-set recording level is chosen, your transcriber may be bombarded with cutlery and glassware sounds and other people’s conversations, or just hear voices booming around like they’re in the bottom of a bucket. Check each time that the recording level is correct – it is not unknown for the buttons on the recording device to get pressed in the journalist’s bag on the way to an interview, leading to a transcriber with ear-strain and a transcription full of gaps! Once you’ve saved your interview files, you’re going to need to get them off your recording device and onto your computer. Option 1 is the easiest. If your recording device comes with a USB connection, plug it in to your computer. You will find that the computer treats it as an extra drive, like the C or D drive. Use the file navigator to find the file and copy it across to your computer, ready to send to your transcriber. Option 2 is more tricky, as most phones will have a limit as to how long a file you can send. You may need to break it up into chunks, or zip the file on your phone / dictation machine first. There is an Option 3 which you can use if your dictation machine is an analogue one, i.e. uses those little tiny tapes (or big ones!). Go into a silent room. Set a microphone up connected to your computer. SET THE RECORDING LEVELS very carefully and test them. Play the tape and record it digitally. Note: please don’t do this if you can help it. The tape quality will always be affected (think what the tapes were like that you recorded off the radio as a teenager. Exactly). Your Smartphone will have a voice memo app pre-loaded onto it, or you can download one. Do that: go digital. Your transcriber will thank you! This is a topic in itself and one I’ve been asked about time and again. Turn on your phone, connect it via USB cable to your computer and open iTunes. iTunes should have a tab called My iPhone. Click on the Sync button in this tab if it doesn’t do it automatically. It will then record it into your computer’s memory. Under Playlists, click on Voice Memos. Find your recording (it will be labelled with its date, which should help you to find it), right-click and choose Get Info. This will tell you where the memo is saved on your computer. Copy it into the file where you want to keep it, and send it to your transcriber. For other phones, I always recommend connecting the phone to the computer rather than trying to email it. Most audio files are really big and won’t send easily as an email attachment. The first thing to try is zipping it. Go to the file in your computer’s folders, and right-click. You should be given some kind of option to Zip the file. This makes it smaller, like putting a duvet in one of those vacuum pack bags. Your transcriber will unzip it at their end to work with it. If this is still too big, there are lots of services online that will transfer your file for you. My two favourites are YouSendIt, now called Hightail, and Wetransfer. Both of these have free versions – you pay more to get more feedback and send larger files. You can also use Dropbox, which acts as an extra, secure drive for your computer, living out there in the ‘Cloud’. Sign up (again, free) and copy your files into this folder. Then share it with your transcriber, or send the file so they can download it. This article has hopefully helped to make technical matters clearer for journalists and researchers who want to record interviews and transcribe them themselves, or have them transcribed by a professional transcriber. 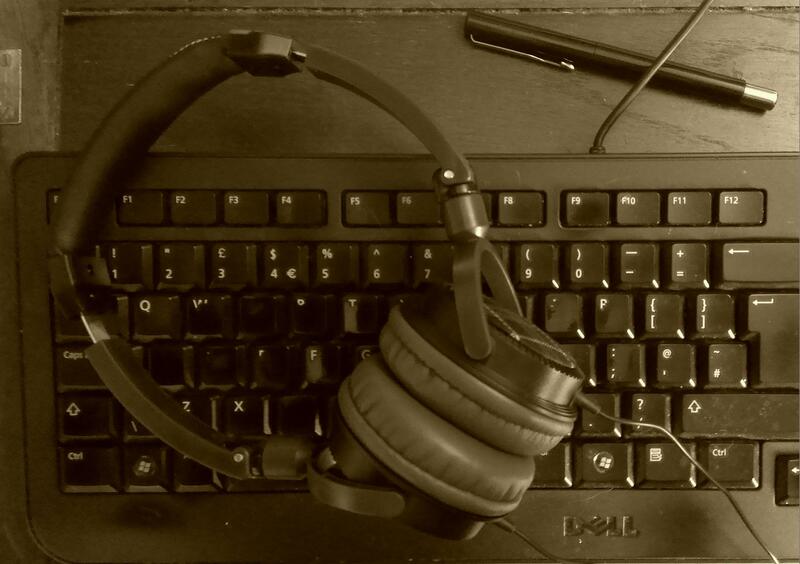 More on transcription and careers in transcription starting here. My book: A Quick Guide to Transcription as a Career – buy from Amazon UK or visit the book’s web page for worldwide links and news. Found this useful? Do share using the buttons below, and/or send me a message via the comments box below! This article shares some ways that I’ve found successful in getting proofreading, editing, localising and transcribing work. It’s applicable to all forms of freelance work but doesn’t look at getting a full-time employed job in publishing or for another large organisation. It’s also worth noting here, in response to some of the early comments on here, that this is a suite of options and you wouldn’t expect to do them all at the same time. Once you’ve built up 1 and 2, you can pick and choose depending on what your career path is – and it’s important to indulge in some planning from the start. Thank you to my commenters for helping this to be a better and more useful post! Many of your clients will come to you after doing a Google search. Remember: people will take the easy option. Why bother to search on lists and in directories if you can just stick a search in Google. Mention what you do on social networks every now and again (a good way to do this is to mention what you’ve BEEN doing “This month I’ve edited this, transcribed that and localised the other”. I gained early clients through being in a member directory associated with a copyeditors’ email list. Friends do well by being listed on the Society for Editors and Proofreaders’ website. My roofers are listed on a government-accredited tradespeople’s website. All of these are places where people will look for accredited and proved suppliers. A hint: don’t bother with paid ones when there are so many free directories and websites! Ask around your peers as to what they find useful. I am on Freeindex and get a few enquiries a month. Join as many as you want, but do make sure to update your profile if you change your services, fees, etc. If you’re in a trade like roofing or plumbing, it’s worth looking at council and government approved listings and the paid directories, as people do search these first, but beware putting too much money in at first. Again, for trades, local print directories and especially business association directories can be good. I have a free listing in our local business association one, which has never brought me any work, but I always try to find local tradespeople who are members, and other people will do this, too. I’ve had a look at general websites like freelancer.com, elance.com and oDesk and personally, I don’t think they’re worth it. A lot of people on those will undercut and take any job at the lowest price possible. Many of the sites have “tests” which are actually a test of your understanding of the site itself, not your ability as a writer, editor or whatever. *Edited to add: while I don’t find these useful, a couple of people have mentioned Elance to me as a good one to try that has got them decent jobs, so it’s worth looking at that. However, there are industry-specific freelancer sites which are worth it. Again, ask your peers for recommendations. The one that’s got me the most work is proz.com, which is a site for translators where you can put up a profile and, if you pay for membership, that profile will be sent to people looking for freelancers, and they will contact you direct. This has paid back the membership fee for me tens of times over, because I work with translators into English, and offer localisation, which is related to translation. You can also look for people looking for particular skills and freelancers and then pitch to them. Take note, though: with anything you pay for, do assess each year whether you’ve got that fee back, and more. Only continue paying if you’re getting a good return on your investment! I’m not a big fan of paying out for adverts. Most of the other methods I talk about here are free. But there might be specific advertising channels that will work for you. When I was starting out, working as a proofreader on theses and dissertations, I put up some posters around the university where I worked, recruiting colleagues who were also students to put them up in common rooms, etc. (free, except for printing costs and a few coffees!) and I advertised in the university staff newsletter, which went to tutors and supervisors. The costs were low, even to non-staff, and I did get the money back. As with using websites that you pay for, do check your return on investment and keep an eye on the outgoings. This one particularly applies to Twitter, although LinkedIn can be used in this way, too. Search for people looking for your services on Twitter. Reach out to potential clients directly. I have got paid work using this method and, even better (see below), I’ve got clients who have gone on to be big recommenders this way, too. No one minds one, polite Tweet if they’ve asked for recommendations for a good plasterer or translator and you fit the bill. Don’t hassle people and don’t blanket-tweet; do tailor your response to the person you’re contacting. I’ve written a separate article on searching for freelance jobs on Twitter, with a worked example. The best way to get new clients is through word of mouth. The two main advantages? If person A recommends you to person B, and person B gets in touch with you, they are far more likely to convert into a paying customer than someone who’s randomly got in touch with you through an ad or Google search. I have several clients who act as “nodes” for me, recommending me either individually or via blog posts and pages on their websites. It’s important not to see people in the same industry as you as competitors – you’re much better off considering one another as colleagues. When I was starting out, I was passed what turned out to be a major client by a proofreader friend who wanted to stop working at weekends and in the evenings. So I did evening and weekend cover for them. Now I’m established, I much prefer to be able to recommend potential clients who I can’t take on to another qualified person who I know will do a good job. When you’re starting out, it’s worth forging (genuine) relationships with people in your industry who are more established. They may well have the odd customer they want to pass on, or have too much business and be looking for people to recommend on to. Nowadays, I pass quite a few people who I can’t accommodate on to a core set of five or so recommended proofreaders, writers and transcribers. I also keep a note of people in allied industries such as book design, graphic design in general and indexing, so I can pass people to them with a relevant recommendation, rather than just leaving them hanging. You can also profit from either teaming up with peers in different industries – for example, I’ve worked with web designers on projects where they’ve written the website and I’ve provided the content, and I’ve done proofreading work for virtual assistants who don’t offer that service themselves. I haven’t got many clients directly through networking, but I met an author at an event who went on to recommend my transcription services to a fellow author, who now uses me for transcription and editing, AND recommends me on her website! Some people do cold calling and door-knocking, where they literally call people on the phone or walk up their front paths and ask them for work. For a start, I don’t think that works in the service industry. I know some editors cold call publishing companies, and I’d love to know how that works out for them. Personally, I feel this takes a LOT of investment. Cold calling requires a list, which takes time and research or money to get, and taking time out to walk up a lot of paths is a fairly hefty investment, too. It might be more worth looking at trade directories or local directories before you take this path – but do share your stories if you’ve had other experiences! Edited to add: as people have kindly shared their experiences, I’m adding a note here to say that cold calling can be useful if you’re targeting a specific and maybe narrow group of clients. Fellow editors, for example, have gained work for publishing houses or journal publishers by taking this route. As my client base is more individuals and other small businesses and freelancers, this approach wouldn’t work for me. But if there’s a group of companies that you can identify as a good fit, by all means approach them with a call or letter, cold, as it were. How do you get freelance clients? Can you recommend any other ways, or do you use any of these? Do let me know whether you try any of these successfully as a result of reading this article! It’s time for another Small Business Chat and I’ve let another newbie join the gang! Things are getting rather tight now, with 65 active participants and 52 weeks in the year, but then Sophie Playle got in touch, and when she said, “I think these interviews are wonderful – not only for promotional purposes, but in providing a means for valuable reflection. I’ve really enjoyed following other people’s experiences on your blog!” and showed she’d really got what they’re all about, I just had to shuffle up the roster and make a place for her. So let’s meet Sophie, from Playle Editorial Services, a fairly new editorial freelancer and one who specialises in editing novels, too! I set up Playle Editorial Services in April 2013. At least, that’s when my website launched and I started promoting myself under that name. I’d been freelancing for a few years previous to that, but didn’t start really focusing on my editing and writing services as a business until the start of 2013. I’d always dreamed of making a living unconventionally. Part of the reason I wanted to set up my business was that I wanted to work with writers and books, but all fiction publishing houses seemed to be based in London – and I don’t want to live in London. In fact, I’d like to have the freedom to move around without having to change jobs. 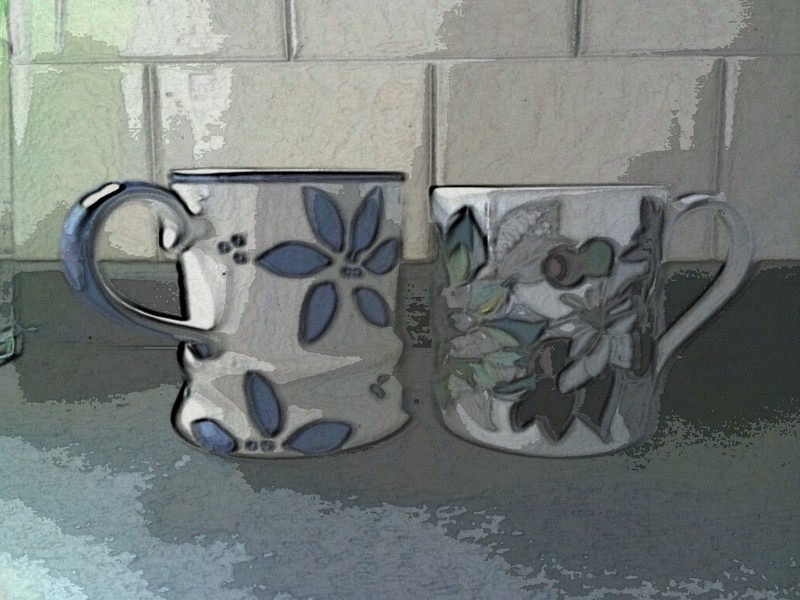 As well as that, I craved the flexibility and creative freedom of running my own business. I’m a writer, and I’ve studied literature and creative writing both at undergraduate and postgraduate level. It’s cliché, but I love books, words, stories and characters. And I love editing as much as I love writing and reading! I really enjoy helping to shape a piece of writing to make it truly excellent. Nope. It took me a little while to get my head around that freelancing is running a business. I’m still on a learning curve, but I even enjoy the admin side! After graduating from university, I spent a year working full-time in publishing and, though the job had many perks, it made me realise that a 9–5 desk job was not for me. I took a year out to do an MA in Creative Writing and the publisher I had been working for started sending me bits and pieces of work to do from home on a freelance basis. After the MA, I decided I wasn’t going to go back to an office job and tried to make a go of the freelancing. I got a part-time job for a few months to help me through the set-up, and my partner was massively supportive. You can’t set up a business and expect work to fall into your lap. You have to work really hard to get yourself out there and get clients. I knew this, but I was far too timid at first. To believe in myself. Take the rough with the smooth. Give it time. Build a financial cushion! I pretty much threw myself in at the deep-end. Though this approach has merits (stops you wasting time over-preparing or doubting yourself), it’s pretty difficult as you flounder around wondering if you’re going to sink or swim. I should have spent more time working out a rough business plan. I’ve got one in place, now, though! I’m glad I joined the Society for Editors and Proofreaders. I’ve only been a member for a few months, but it’s fantastic. The local meetings are brilliant for support, and the forums are an excellent knowledge base. Set out a basic business plan, review it periodically to make sure you’re on track, and update it every year with new goals. Track and celebrate your achievements. This gives your business positive momentum. I diversified into writing marketing copy for agencies. Copywriting certainly adds another dimension to my business. Hopefully, I will have a more stable income, and a few more regular clients. I hope to start working with publishers as well as continuing to work with writers. 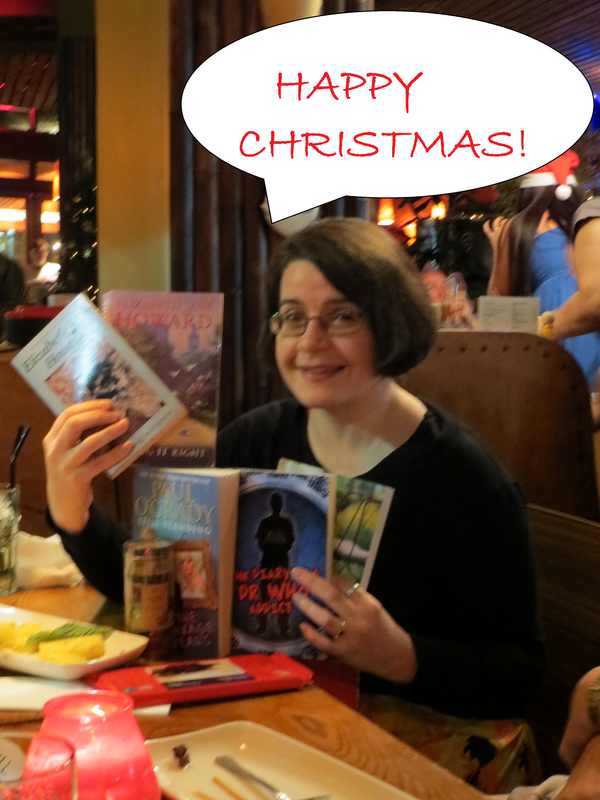 I’d love to edit more speculative fiction novels, as this is a particular passion and expertise of mine! I find Sophie’s reasons for going freelance quite interesting – she was looking for freedom and the ability to be creative where and when she wanted to be. I thought that this was going to be a common reason when I started this series, but many people have gone freelance because they’ve been made redundant or needed to dial down the day job for family reasons, or, in fact, rather fell into it (like me). It’s rarer than I thought to find someone who just wanted to up sticks and do their own thing. Sophie’s also young among my editor colleagues, most of whom went freelance after years in the industry. Having said that, Sophie has obviously come to terms with the business side of things, and has firm plans in place. And her strong education in creative writing is a bonus when it comes to working with fiction, and she’s someone I recommend fiction writers on to. I wonder how her career will develop over the next year! You can find Sophie online on her website playle-editorial-services.com, and on Twitter and Facebook, and you can email her.